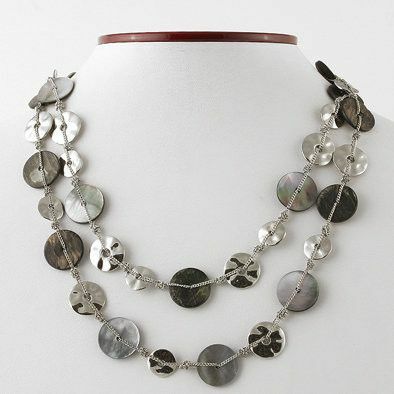 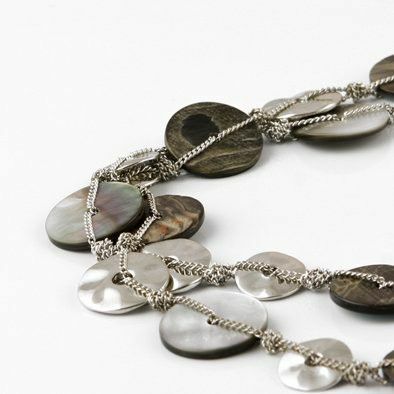 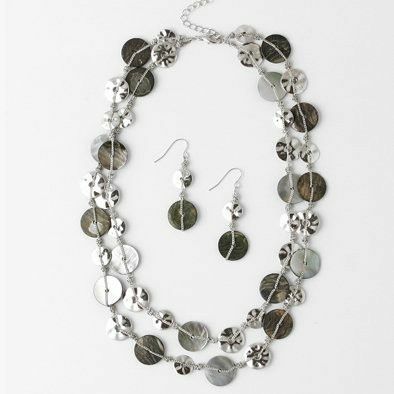 This beautiful fashion necklace and earrings set features disks of shining silver tone metal and iridescent abalone. 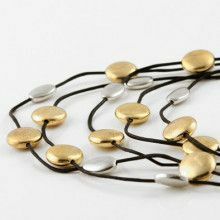 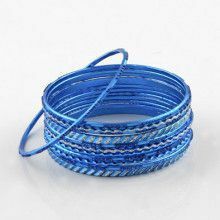 The necklace features the disks strung lengthwise on two thin silver tone metal chains, presenting the maximum amount of light and shimmer. 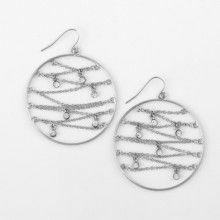 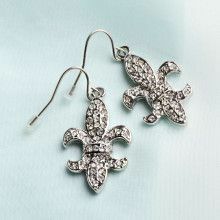 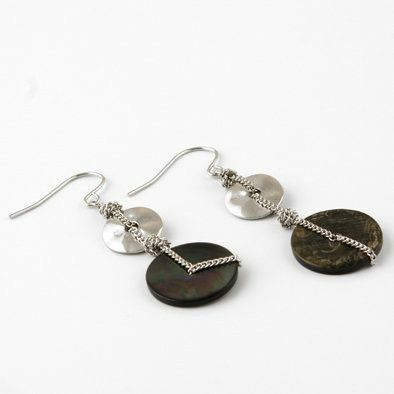 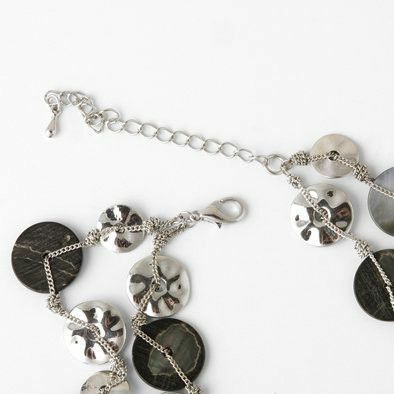 The earrings feature an abalone and a small metal disk dangling on a chain from a simple silver hook.